The case-back of the watch can detach and expose the interior to water, posing a risk of skin irritation, redness, rashes or chemical burns. Six reports of skin irritation requiring medical treatment have been made. This recall involves 303 styles (about 1.9 million units) of "Light Up" watches that are identified by style number. A complete list of the serial numbers is listed on the firm's website: regcen.com. 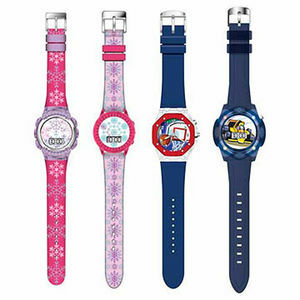 The watches have a flexible plastic wristband sold in multiple colors. Kmart, Kohl's, Walmart and other retailers nationwide from 10/2012 to 06/2015 for between $5 and $20. Consumers should immediately take the recalled watches away from children and contact MZB for a refund. MZB can be reached at (888) 770-7085.